Exhibition-event at the Institut du Monde Arabe in Paris from 26 September 2017 to 14 January 2018. Anonymous portrait of a monk. Baouit, Egypt, VIth-VIIth century. © Museum of the Jacobins. The Institut du Monde Arabe, in partnership with the Museum of Fine Arts of Tourcoing, presents the exhibition «Christians of the Orient 2000 years of History», from 26 September 2017 to 14 January 2018, which tells the story of the Arab Christians as a full rooted component of the countries to which they belong: Palestine, Syria, Lebanon, Egypt, Jordan and Iraq. Palestine, where the Gospels situate the preaching of Christ; between the Mediterranean and the Euphrates, along the Nile, on the banks of the Bosphorus, where the new religion was developed and implanted before it spread. 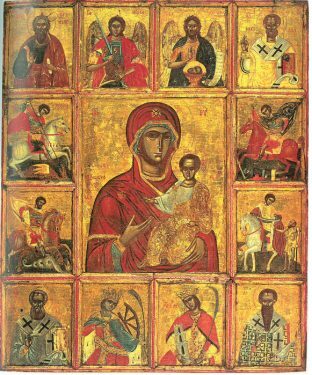 Evoking Eastern Christianity in all its facets: historical, political and cultural, makes it possible to present the Christians of the East in their plurality and in the complexity of their millenary history. 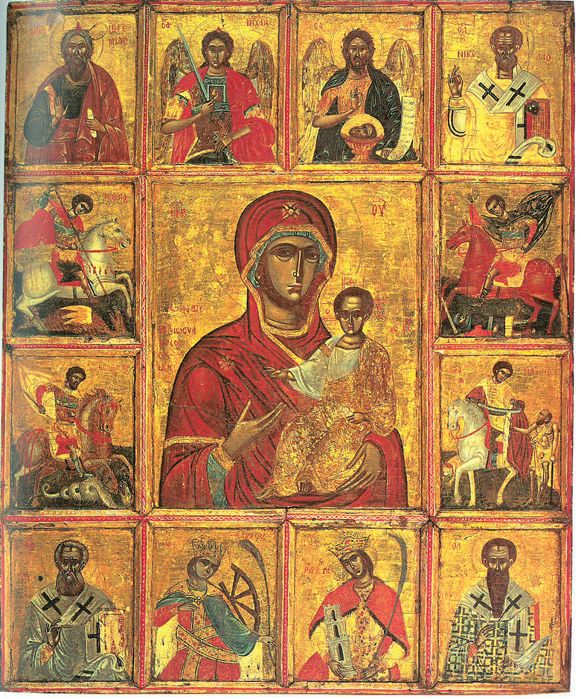 From the austere Paleochristian grace to the goldsmiths of iconostasis, from the founding councils to the great schisms and the renewal of missions, from the singular place of Christians after the Muslim conquest to the exceptional role they played in the rise of Arab nationalism, the course is marked by sumptuous works. Exciting testimonies of the reality of the Christians of the Orient today, close the exhibition. Plaque with angels carrying a crown, Syria, VIth-VIIth century. 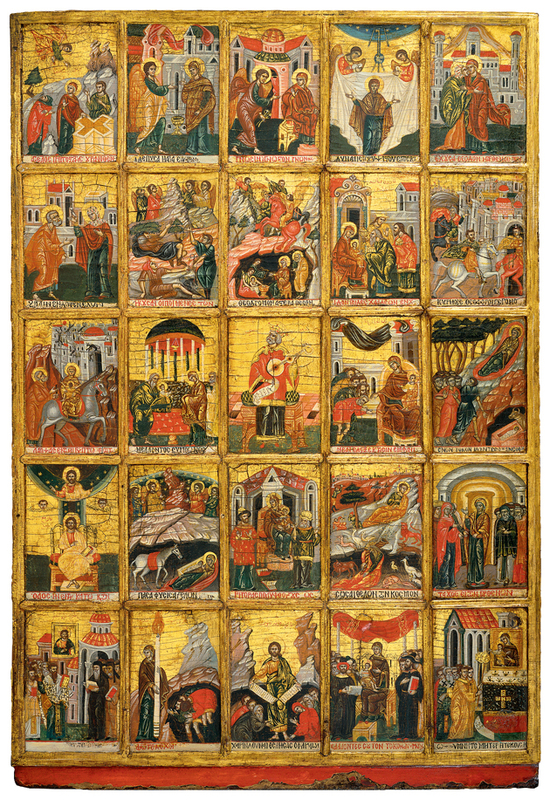 © Skulpturensammlung und Museum für Byzantinische Kunst, Staatliche Museen zu Berlin. G. Stenzel. Virgin Hodigitria surrounded by saints. Yûsuf al-Musawwir, Aleppo, Syria, 1650.Tempera on wood © Collection Abou Adal, Beirut. Acathistic hymn. Yûsuf Al-Musawwir, Aleppo, between 1650 and 1667. Tempera on wood. Collection George Antaki, London © G. Antaki / Axia Art. 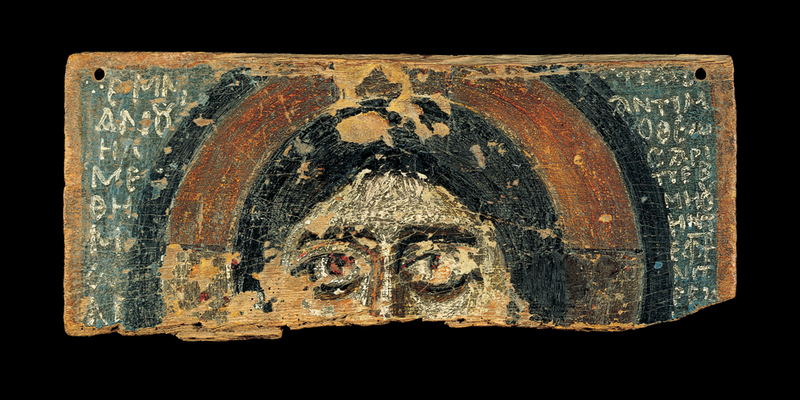 Fragment of an icon with representation of Christ, Egypt, VII-VIIIth century. Wood. © Benaki Museum, Athens. More than 300 unique and unpublished pieces, heritage masterpieces, some unveiled in Europe. Chalice – Treasure of Attarouthi Attarouthi, Syria, 500-650. 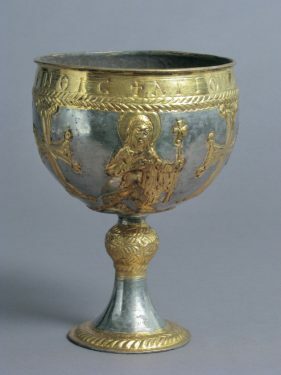 Silver and silver gilt.© Metropolitan Museum – Department of Medieval Art and the Cloisters. 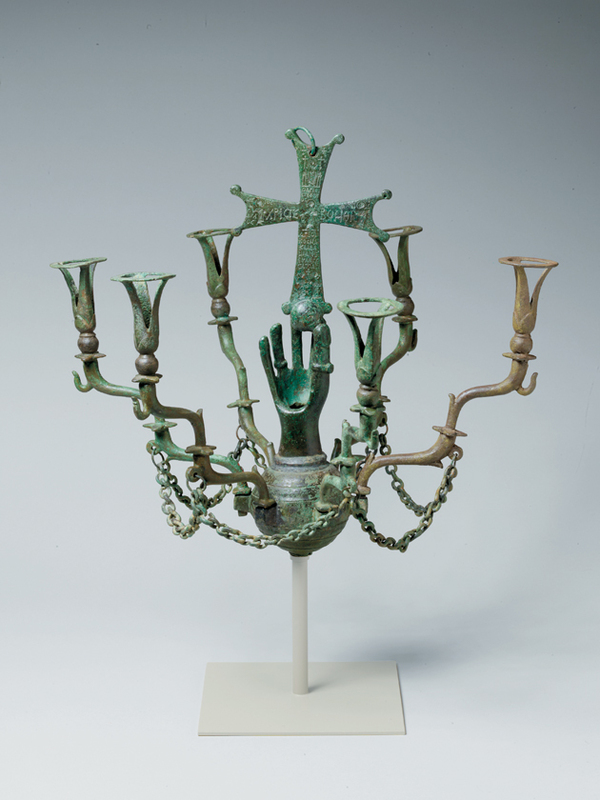 Chandelier, Palestine, VIth-VIIth century. Bronze. © Metropolitan Museum – Department of Medieval Art and The Cloisters 1974.150. 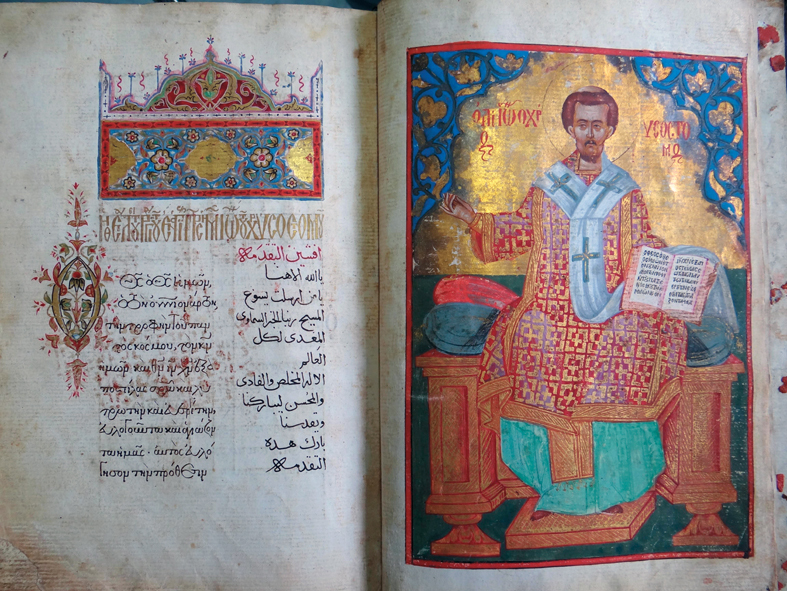 Book of Syriac-Arabic Prayer (Qondaq), Syria, VIIth Century, Manuscript. © Collection Antoine Maamari, Beirut. 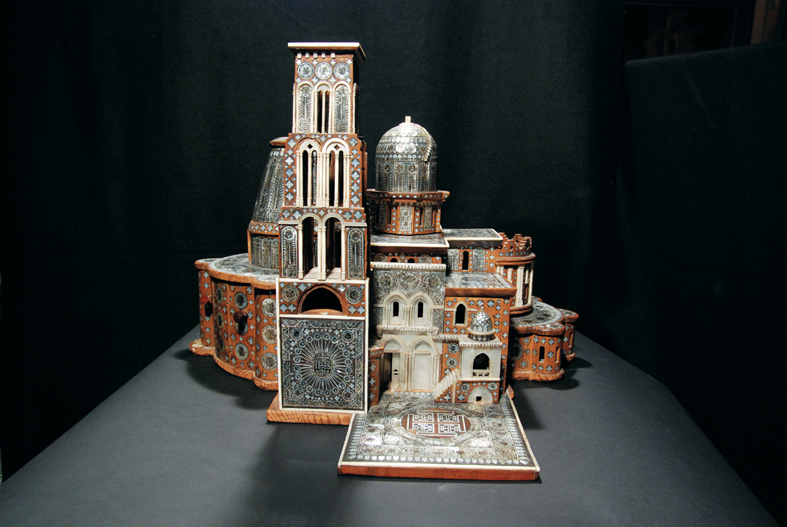 Model of the Holy Sepulcher, Jerusalem, Bethlehem XVIIIth century. © Jerusalem, Terra Sancta Museum – Custody of the Holy Land.